Spaghi is a lovely local Italian restaurant. It is situated on the busy island opposite Archway station. But once inside the restaurant, the traffic can barely be heard. 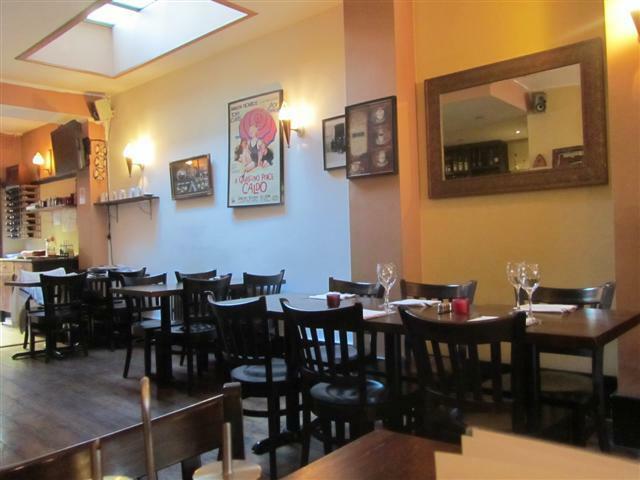 The inside of Spaghi is made up of the dining area together with an open kitchen. The back of the restaurant opens out into a pretty area decorated with a wall of fairy lights. 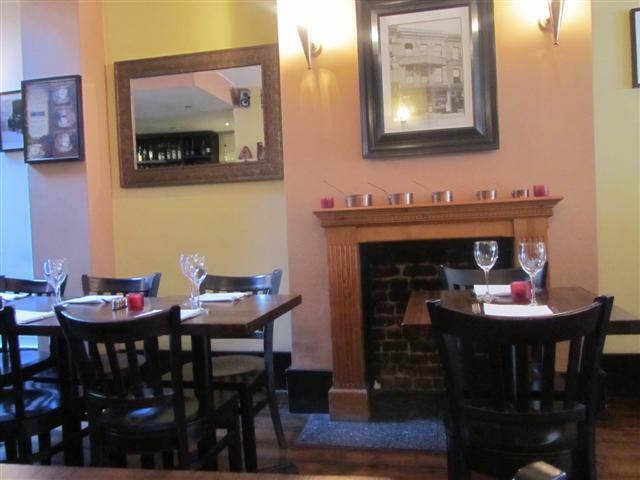 The restaurant is fairly spacious; it has dark wooden furniture, an ornate fireplace and small decorations. 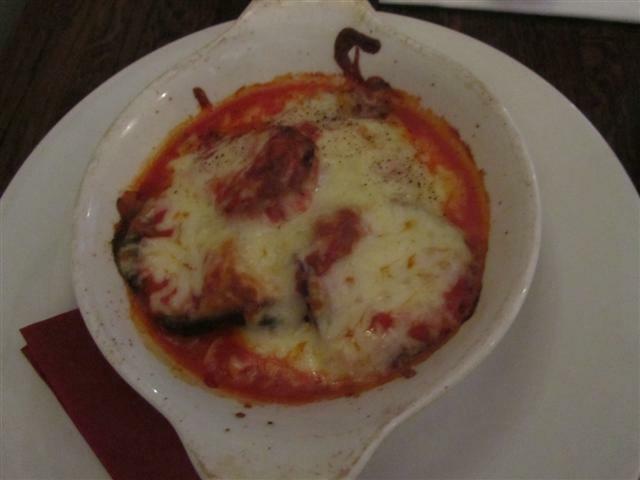 For our starter, we had the Melanzana Parmigiana. This was a baked dish of sliced aubergines in a tomato sauce, topped with mozzarella. The tomato sauce was really tasty and it was good that there was a generous amount of aubergines in the dish. The Melanzana Parmigiana wasn’t too rich and creamy, which made it a good starter dish. The menu had lots of pasta and pizza mains. We fancied some risotto though but this was not on the menu. We asked the staff if they did risotto, just on the off chance that it was one of their specials that we hadn’t noticed. The staff said that unfortunately they did not have risotto on the menu at the moment. While we were deciding on the main meal, the same member of staff came over to us and said that the chef could make us a risotto as long as we didn’t mind waiting a short while for it. We were really taken aback that Spaghi would make a meal especially for us. We were offered seafood or mushroom risotto; we went for the latter. For our side dishes, we had sauteed potatoes and grilled vegetables. 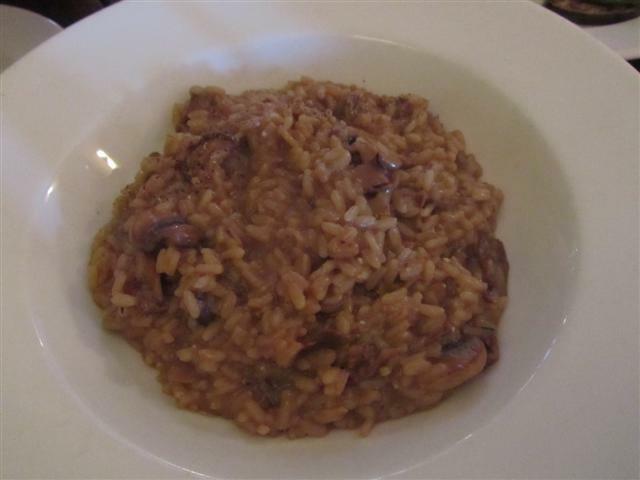 The risotto had lots of mushrooms and we could tell that it was a freshly cooked. The risotto was a hearty dish, although we found it slightly salty. But I’m sure that if we ordered it again next time and asked for less salt, the chef would be able to accommodate us. 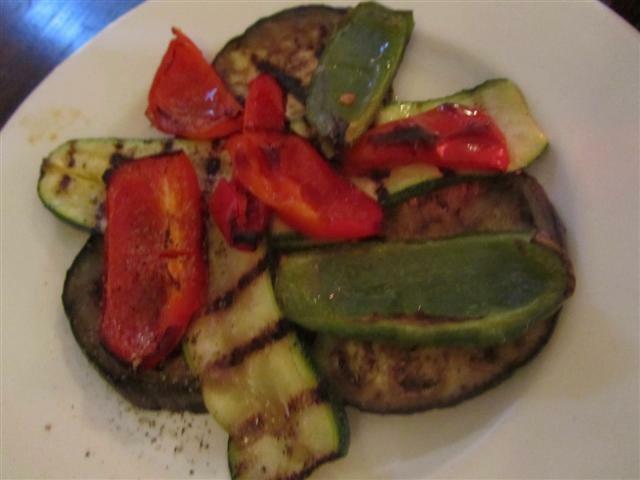 The grilled vegetables were a selection of aubergines, courgettes and peppers. The sauteed potatoes were sliced new potatoes. It all went well to make our meal complete. Instead of dessert, we had peppermint tea. It was served by the cup not by the pot. There was also freshly squeezed juices on the menu. 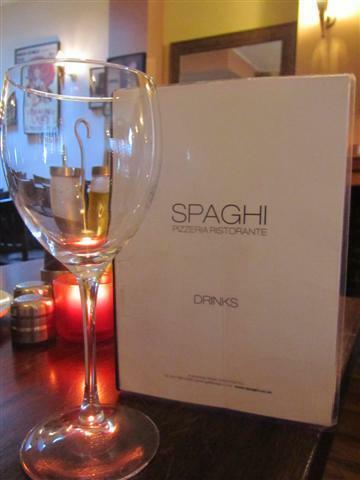 Spaghi really impressed us with its staff, service and quality of food. At the end of the meal, the chef came over to chat to us. He told us that all the food was freshly cooked to order and that he doesn’t have the dishes prepared beforehand. He also told us that he makes all the desserts on the menu and none of them are just bought in. You could tell he was proud of his cooking and the restaurant, and he had every right to be.